Mattias Jacobsson Schulstad made his recital debut at age seventeen, and has since released a recording and performed in concerto, chamber and recital settings. His recording Invocación (Avie), explores the Spanish composer Francisco Tárrega’s influences, original work and legacy; from the inspiration that Chopin had on Tárrega’s musical output, through to his pupils Miguel Llobet and Emilio Pujol. 2015 sees a concerto written for Mattias under way by Enrico Chapela, as well as the U.S. premiere of his Melate Binario, at New York’s (Le) Poisson Rouge. Mattias will also tour Sweden, with violinist Emilie-Anne Gendron, under the auspices of Kultur i Väst. 2014 saw the premieres of two concertos written for Mattias; by Jakub Ciupiński and Ryan Francis, with Metropolis Ensemble and the Pittsburgh New Music Ensemble respectively. That year also included recitals in Sweden with violinist Ernő Kállai, presented by Musik i Syd. In 2013, Mattias recorded Come, Heavy Sleep, ‘Slow and quiet’, from Benjamin Britten’s Nocturnal after John Dowland Op.70, in a collaboration between Albert Augustine and the Metropolitan Museum; he performed the work at Strathmore that year, during the centennial celebrations of Benjamin Britten. Mattias has performed at the Uppsala International Guitar Festival, recorded and broadcast by Swedish Radio; at the Musik vid Siljan festival; and with the Helsingborg Symphony Orchestra. He has performed on radio in the United States for NPR and WQXR, and recorded for Televisión Española in Madrid, where he also performed at the prison Soto del Real. 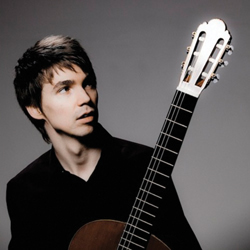 Born near Stockholm, Sweden, Mattias began playing the guitar with Erik Möllerström in the Nacka Municipal School of Music, where he studied between 1994 and 2003. At fifteen, he enrolled at Södra Latins Gymnasium, studying with Bo Hansson between 2000 and 2003, followed by studies at the Malmö Academy of Music (2003-2006) and the Juilliard School (2006-2008). 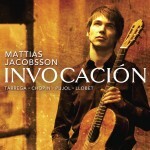 Mattias plays strings by Albert Augustine, on a 1971 Ignacio Fleta e hijos guitar. Mattias Jacobsson Schulstad has no upcoming tour dates. Please check back soon.